Enjoy "Family Time" in high definition with your new VIZIO VX37L. Whether you're watching home movies or your favorite DVDs you'll feel like you are viewing a work of art in your home. The VX37L features the latest in VIZIO's unique design, which delivers vivid and accurate (16.7 million) colors along with wide viewing angles (170° x 170°) and a blazing 8ms response time. And with integrated HDTV capabilities, you can enjoy digital programming with enhanced audio and video reproduction. LCD Technology - The VIZIO VX37 has significantly less reflection and glare which makes this television ideal in any room lighting situations. 178 Degree Viewing Angle - Our LCD HDTV's delivers an viewing angle of up to 178 degrees, resulting in a crisp and clear picture that is visible from any seat in the house. Brightness of 500 cd/m2 - Our LCD HDTVs have a higher average brightness across the screen, higher luminance at full white, wider dynamic range and can will achieve better black levels. 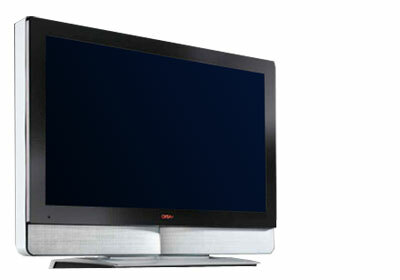 1366 x 768 HD pixels - Our HDTV's offer a HD resolution of at least 1366 by 768, which is more than 1 megapixel.